Masquerada: Songs and Shadows has a new trailer that wants to let you sample the game’s exquisite voice-acting roster. Witching Hour has released a new trailer for Masquerada: Songs and Shadows. 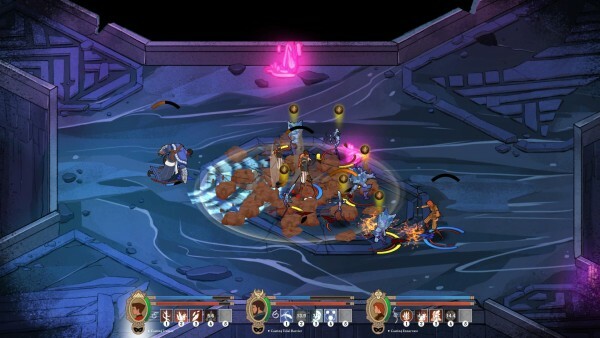 Masquerada is an isometric RPG with the ability to pause combat at any time. You play as Cicero Gavar, who returns to the city of Ombre to undertake a secret mission. Gavar and his party defend the city from fey creatures amid a raging civil war between the elite and the working class. The game includes the talents of Jennifer Hale (Mass Effect), Dave Fennoy (The Walking Dead), Matthew Mercer (Fire Emblem: Awakening), among others. It’s due out in spring 2016 for PC and Mac, with a console release still to be confirmed. If that sounds interesting, you can try an alpha build of the game at PAX Prime, booth 6708.